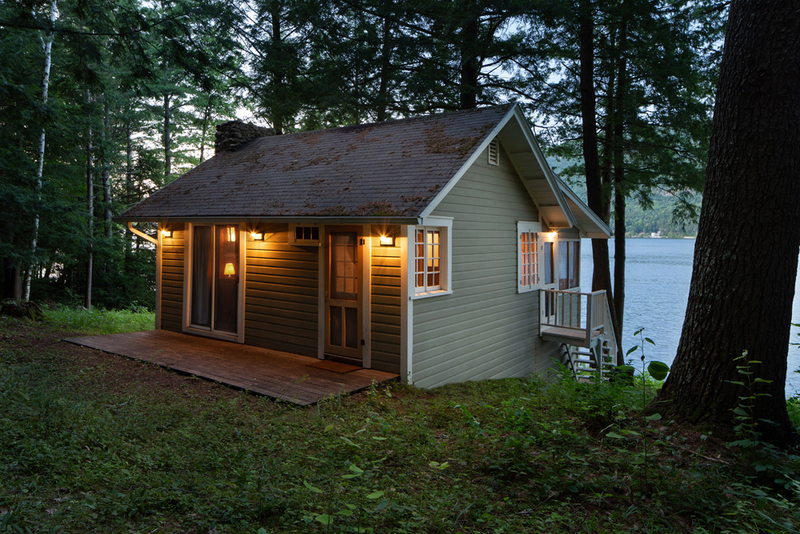 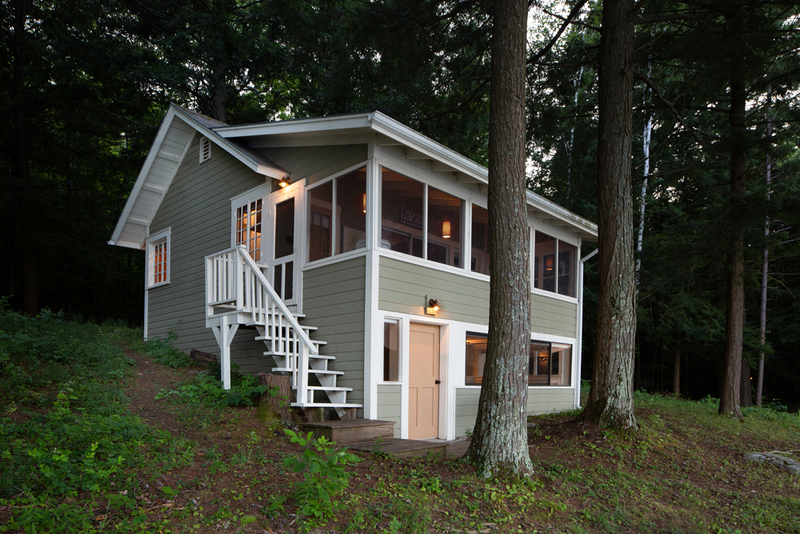 This very humble lake cabin was built in the 1940’s by a local Vermont farmer. 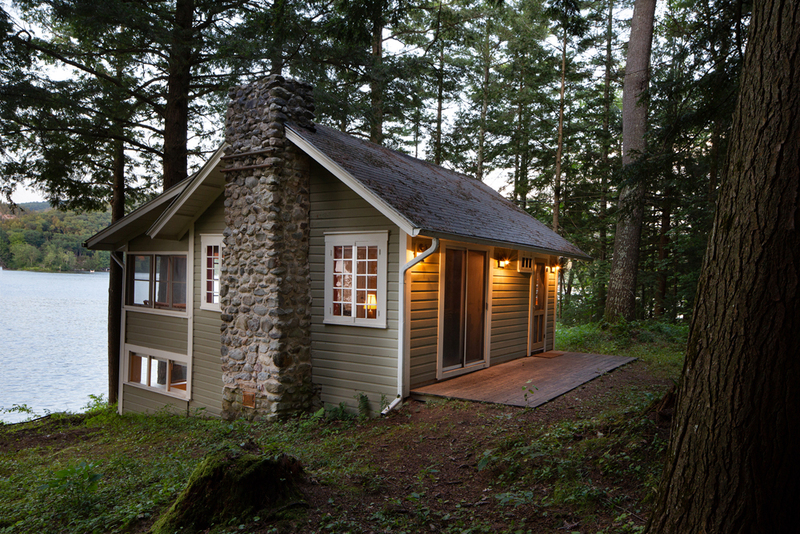 Its small footprint belied its many charming efficiencies. 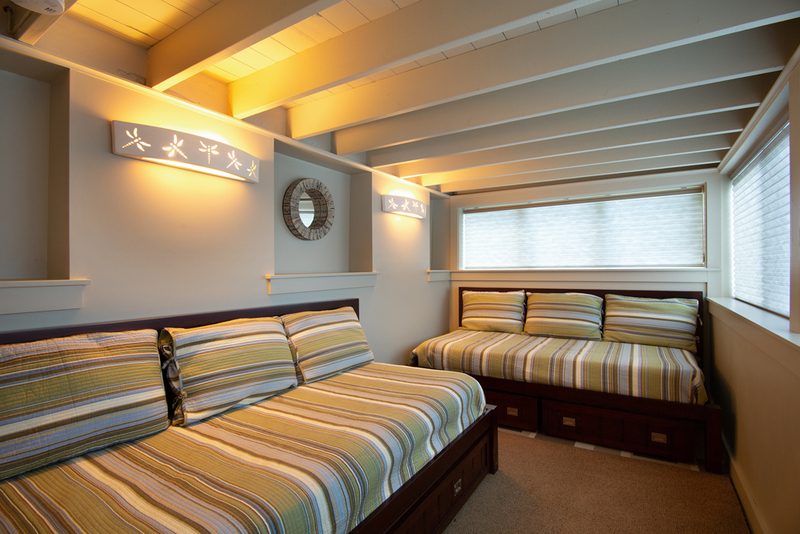 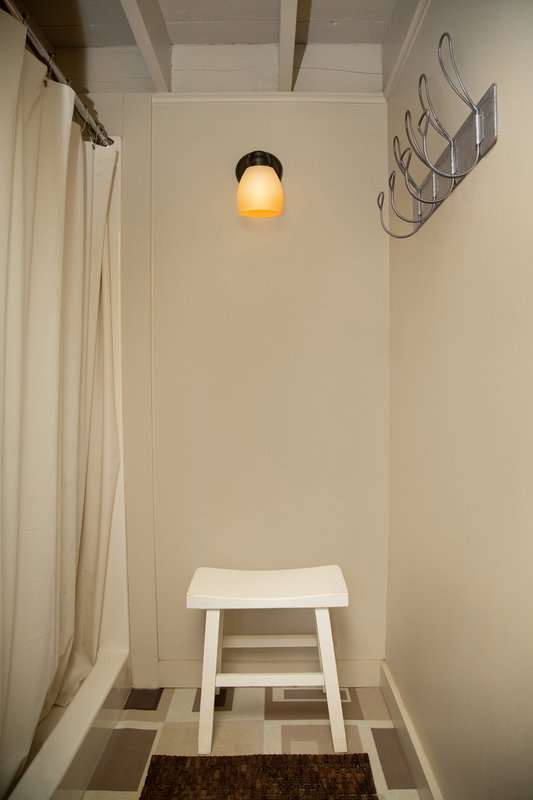 Budget conscious renovations in 2008 consisted of interior and exterior carpentry, painting, and lighting. 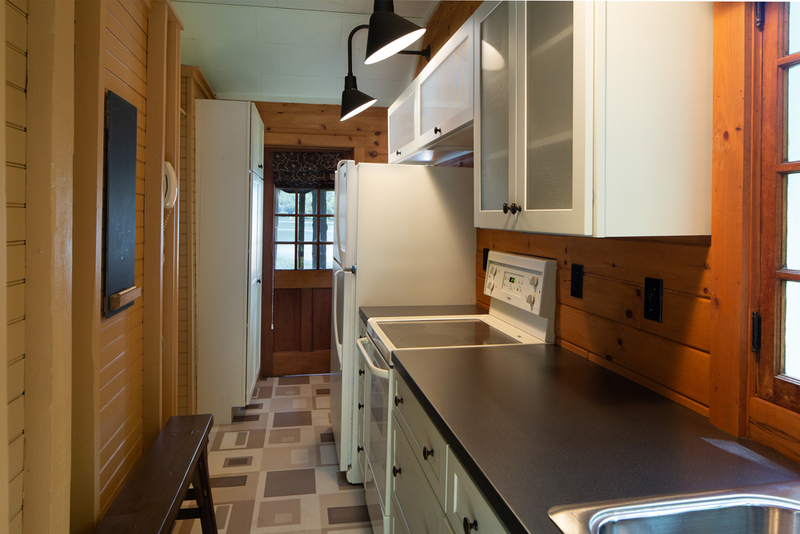 Interior work consisted of new flooring throughout (except for the screen porch) and a new galley kitchen featuring off-white painted cabinets, charcoal laminate countertops, and updated appliances. 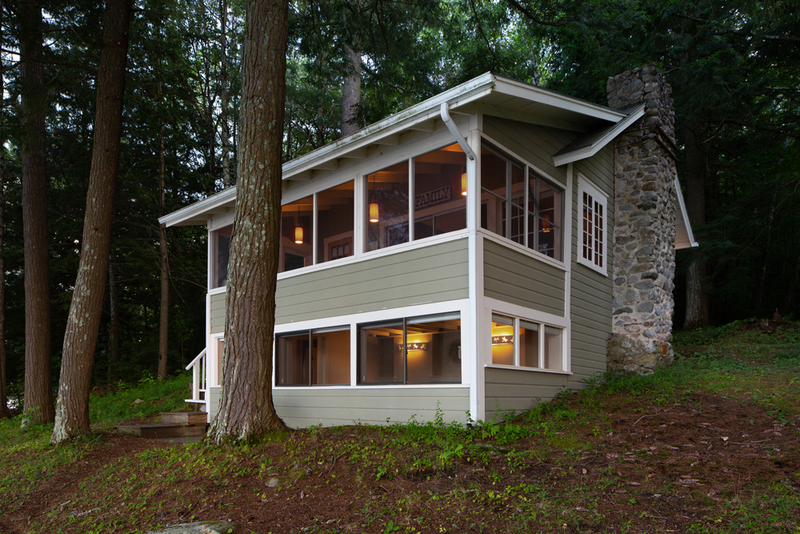 The idea was to preserve the original spirit of the place while enhancing its comfort, convenience, and aesthetic appeal. 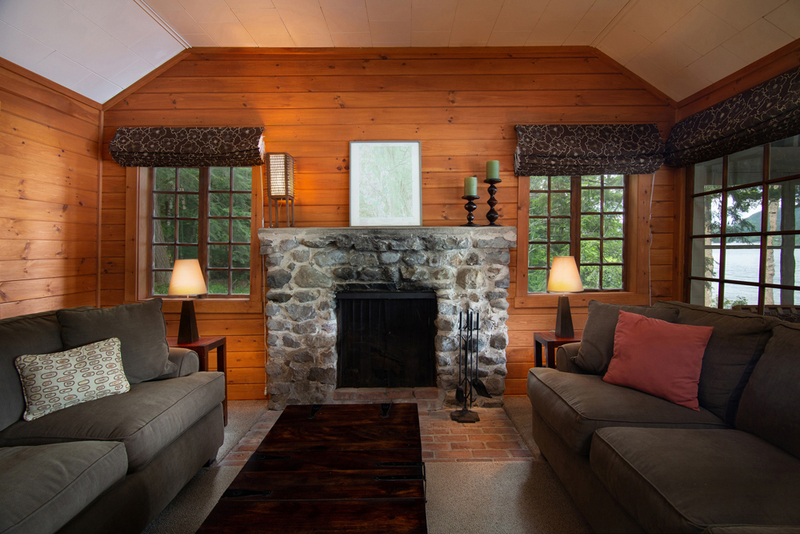 Every room has views of the lake and the mountains beyond as well as the surrounding woods on this 2-acre property. 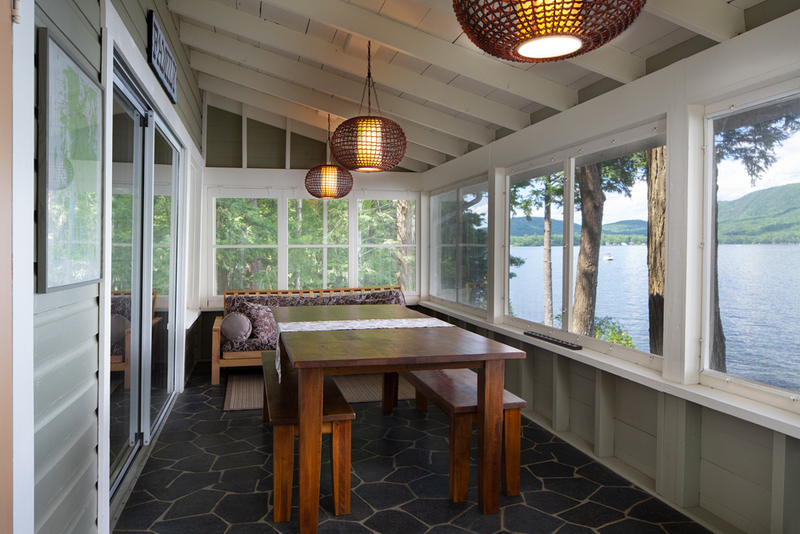 The furniture was carefully selected and positioned to promote spontaneous and abundant opportunities for relaxation, reflection, and conversation (photos by Caryn B. Davis).